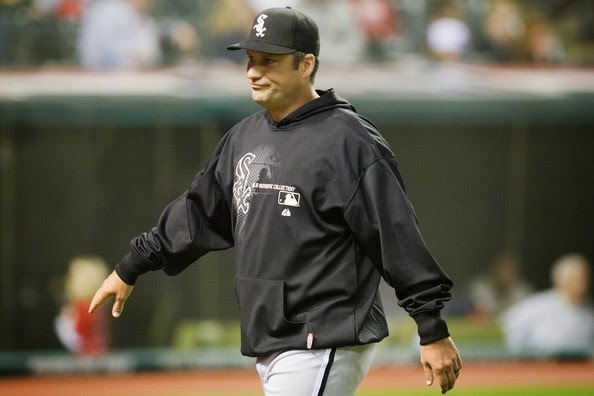 The Chicago White Sox were utterly in character in losing the third game of the recent series with the Detroit Tigers. After winning the first two games, the Sox torpedoed expectations and regressed to meek batting supporting good pitching; next week the poles will reverse, I suspect. Likely that will be the course throughout the season: one game up, two games back. The off-season signings of Melky Cabrera, Adam LaRoche, Jeff Samardzija, and David Robertson excited all of us Sox fans—I told a friend in March that this was the first Spring Training I was feeling realistically—not fanly—optimistic about the team's chances. The White Six are currently a game out of last place. Things are looking up- Chase Utley hit a double yesterday, and a single today.